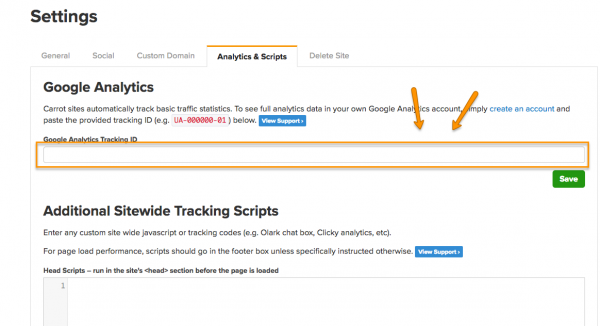 This tutorial will show you how add your google analytics tracking code to your Carrot site. There are a few reason this is important for your site and your business. 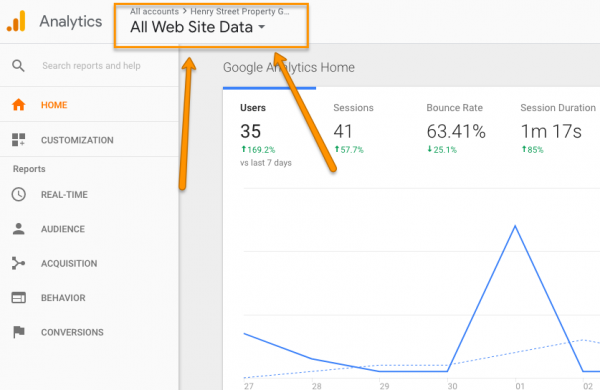 Google analytics collects a massive amount of data you can use to gain insight into your visitors and their behavior. Carrot collects a lot of the basic information on your traffic visitors already, but Google Analytics can expand on that data. More credibility in Google’s eyes from an SEO perspective. You’ll need to have your google analytics UA-XXXXXXX code from your analytics account. If you need additional information on finding your UA code and creating an account, drop down to the learn more section. 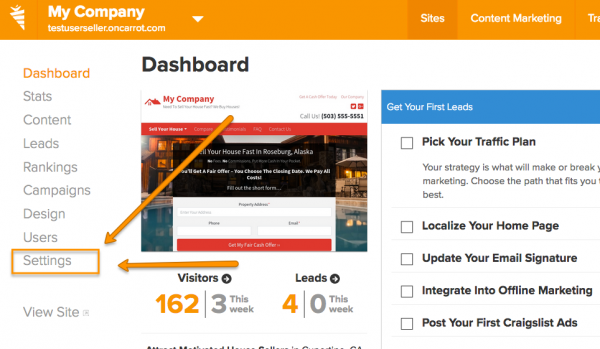 Step 1: Go to your site “Dashboard”. Step 2: Click on the “Settings”. 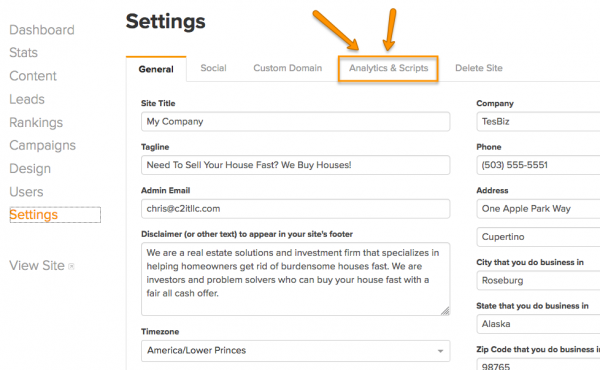 Step 3: Click on the “Analytics & Scripts” tab. 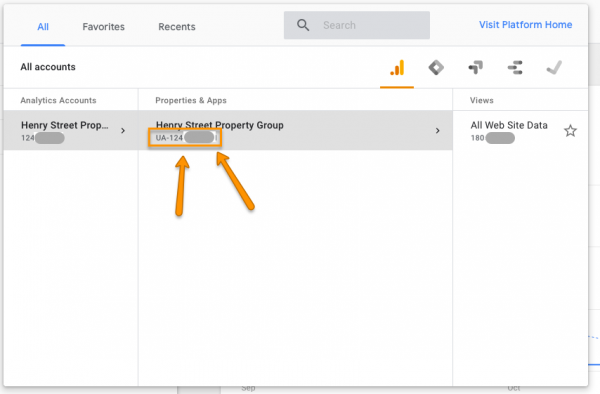 Step 4: Paste your Google Analytics tracking ID in the the field. If you haven’t created a Google Analytics account, simply create an account here. Step 1: Click the All Accounts button at the top of the page.